Good morning, Here is your Sunday Patriots news 10-28, & AFC East Notes. Did you Know? Bill Belichick has coached the Patriots since 2000 and we’ve all seen some of the crazy stats that the team has amassed since then. One statistic that stood out and one that we haven’t seen before was even more startling. Although the Patriots lost the turnover battle last week in Chicago they ultimately won the game 38-31. But since 2000 when losing the turnover battle the Patriots are 38-37, or slightly over .500. But the rest of the NFL when losing the T.O. battle is just 713-2765-8. The next closest team in Indy who is winning at a .340 percentage. Patrick Peterson to the Patriots was never a rumor that we put much stock in here, it was totally debunked when Tom E. Curran of NBC Sports Boston, said his sources told him that the Patriots never reached out at all. 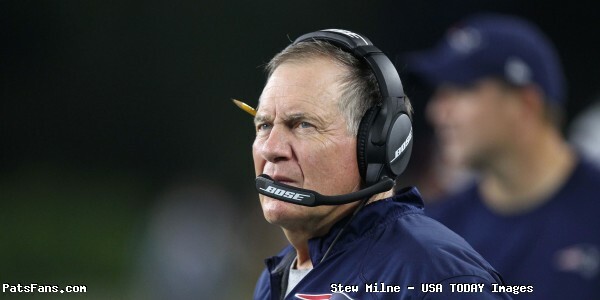 However, (comma), the trade deadline is just a few days away, what positions could the Pats be targeting? 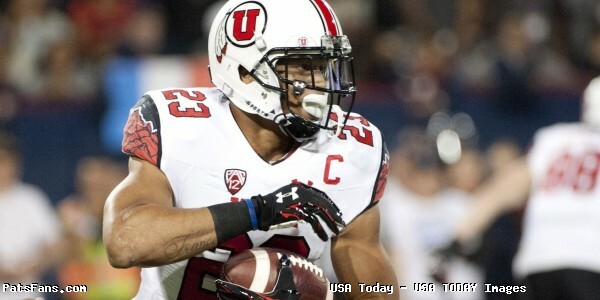 Hmm, an interior pass rusher, a running back or my choice, a sub-package linebacker who’ll have the speed to cover. Arizona has a pair of former first-round draft picks who are on the trading block because they don’t the new system. Deone Bucannon and Haasan Reddick are the two names that come to mind. Nate Solder has told the media, that he does not regret leaving the Patriots for the New York Giants even though he’s lost more games (six) in the first seven weeks than he did in any Patriots season, even the past two years combined. “I was certainly not expecting [the trades], but I am so thankful to be here under the leadership of [general manager Dave] Gettleman, coach [Pat] Shurmur,” he said. 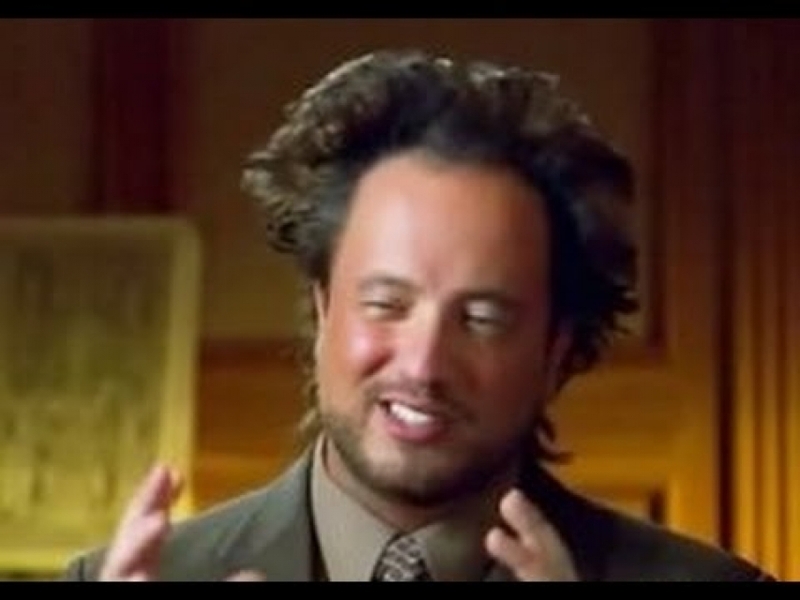 “I just think that they’re building this thing the right way. I believe in those guys tremendously. All of the decisions they made I fully support, and whatever that means, we play it out however it needs to be played out.” Of course, signing a four-year, $62 million dollar deal helps ease the sting of those losses a bit. The Patriots brought in three free agent players this week for workouts. As usual, they’re updating their emergency lists or just to get a feel for some players and see what makes them tick, just in case they meet them down the road. The team brought in TE Ben Koyack and DB Dexter McCoil but the real intriguing name was Obi Melifonwu. His rookie season was marred with two stints on IR, the second was a hip injury that required surgery. He was just getting back on the field this summer when he injured his knee and the Raiders, under a new regime cut their ties to him. We spoke to him very early in the spring and his rehab for his hip surgery was still a slow process, which is normal for those type of injuries. But apparently, Gruden, who didn’t draft him wanted to go in a different direction. But the Raiders never really had a plan on how to use him, something that New England and Bill Belichick wouldn’t have any issue in doing. He was a bit frustrated with Oakland. A source close to Melifonwu told us that last year he had just started practicing before the Patriots game as he came off IR. He said that on Thursday, he’d practiced at safety but then on Friday during the walkthrough, he was told, he’d be playing corner, something he’d hadn’t practiced. That didn’t end well for the rookie but if the Patriots were to sign him, he’d most definitely be used as a safety as his skill set is tailor-made for it. 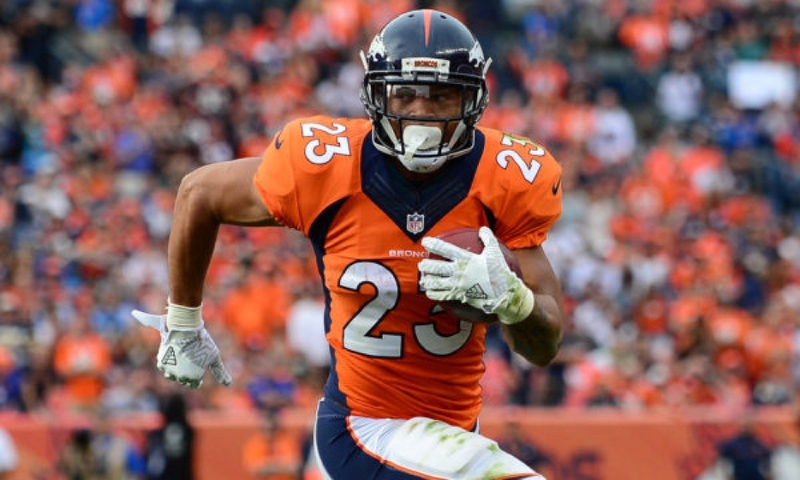 Our feeling here is …if he’s healthy would be a really nice addition to the backend of the defense. The season started slowly at 1-2 for New England and of course, all of the talk was centered around “if this is the year” that the Patriots lose the stranglehold in the division. And that talk, as well as the demise of the team, seems to be once again premature. With a win on Monday Night in Buffalo, the Patriots will enter the midway point of the season at 6-2 with at least a two-game lead over the Dolphins (with a tiebreaker) and the Jets. And the best part of it is that the team hasn’t even played their best football yet. Miami got off to a hot 3-0 start, but since then it has been strictly downhill for the Fins going 1-4 and with questions about Ryan Tannehill’s future, the Dolphins are in for a lot of questions this offseason. Meanwhile, despite suffering a large number of injuries, the Patriots are in good shape to challenge for one of the top spots in the AFC. The Buffalo Bills face the daunting task of taking on their nemesis, the New England Patriots and Tom Brady this week. Their record against Brady is 3-28 and the Bills enter this week 2-5, while the Patriots, winners of four in a row are 5-2. But if they’re going to have any chance of upsetting New England, they’ll have to be a much better effort than last week from QB Derek Anderson. Anderson, taking over for the injured Josh Allen last week, had a rough game, turning the ball over four times, three interceptions and a fumble. Having been only in the Bills’ system for three weeks, there are still plenty of things to learn for Anderson, in terms of the playbook. He will, however, have a few things going for him. This will be the Bills first Monday Night home game in about a decade and it guaranteed to be rocking. Anderson has already shown some decent chemistry with Kelvin Benjamin but he really needs to get on the same page and quickly with Charles Clay. 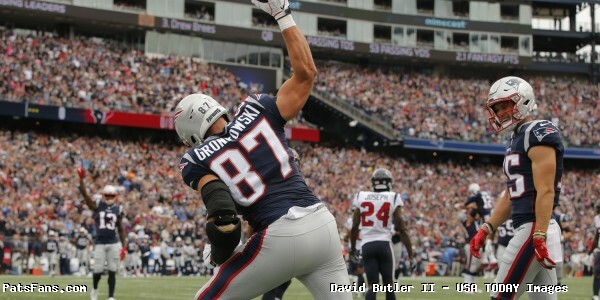 The big tight end should be a big part of the game plan this week as New England has had issues covering tight ends. The Miami Dolphins as we mentioned above started the season strong, especially on defense where they thought they’d made several improvements. But since the Patriots throttled them a month ago, they’ve really struggled and Thursday Night’s showing against the Texans was particularly poor. The Texans big four playmakers had tremendous games against the Dolphins, QB Deshaun Watson completed 80 percent of his passes and had a QB rating of 156. The big duo of DeAndre Hopkins and Will Fuller combined for 206 yards and three TDs. And Lamar Miller ran for 133 yards. After allowing the Lions to rush for 248 yards, Houston ran for 188 more and averaged 5.4 yards per carry. And with a pass rush having the likes of Robert Quinn and Cameron Wake facing a Texans offensive line that has surrendered the most QB hits and sacks in the league, the Dolphins logged just one QB hit and zero sacks. The Dolphins and coach Adam Gase are at a critical point of the season. They’ll have to turn things around and quickly, especially on defense this season if they are to make any noise this season. Otherwise, Gase’s seat could go from warm to hot this winter. The New York Jets head out on the road to face the Chicago Bears this week and after watching the tape of last week, know that they must do a good job of limiting the scrambling ability of QB Mitch Trubiski who ran for 81 yards a week ago against New England. The Bears offense, currently #6 in the NFL averaging 28.3 points per game is definitely being helped by the running of Trubiski who has rushed 31 times for 245 yards and a pair of touchdowns this season. Coach Todd Bowles is preaching a total defensive effort this week but the Jets have fared fairly well thus far against mobile QBs in 2018. Against the Browns Baker Mayfield and Tyrod Taylor, Gang Green allowed just six rushes for 20 yards. Blake Bortles scrambled for 28 yards on three carries and Ryan Tannehill had 44 yards on eight scrambles. For the Jets to pull off the upset, they’ll need to limit their turnovers and contain Trubiski in the pocket. Something the Patriots couldn’t do. 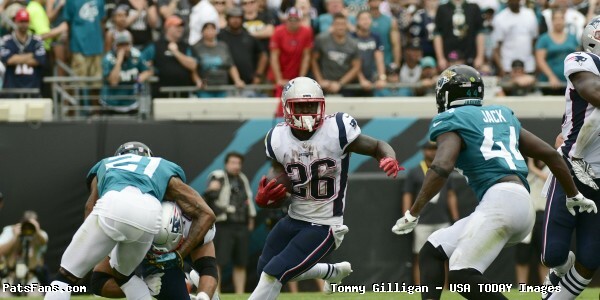 This entry was posted in 2018 Patriots Regular Season, NFL Commentary, NFL News, Patriots Commentary, Patriots Injuries, Patriots Milestones, Patriots News, Patriots Rumors and tagged 2018 NFL Season, 2018 Patriots season, Bill Belichick, Buffalo Bills, Chris Hogan, Dont'a Hightower, James White, Julian Edelman, Miami Dolphins, New England Patriots, New York Jets, NFL, Patriots, Patriots edge rushers, Rob Gronkowski, Tom Brady, Trey Flowers on October 28, 2018 by Steve Balestrieri. During the New England Patriots 1-2 start to 2018, the offense found itself averaging just 19 points per game and looking for answers. After the teams embarassing ten point showing in a loss to the Detroit Lions on September 23rd, quarterback Tom Brady felt he had a solution for the teams slumping offense, get running back James white more involved. Since that night in Detroit, White leads the team in targets (41), catches (31), receiving yards (255) and receiving touchdowns (four) during the four game win streak following that loss. The Patriot offense is averaging 39.3 points per game, with all the games having 38 plus points scored, a first under head coach Bill Belichick. Through seven games in 2018, White has already surpassed his career high in touchdown passes with six and is the first running back ever with 45 catches and six touchdowns through the first seven games. James White has 45 receptions through seven games. Since 1999, only three running backs have had more at this point in the season – Matt Forte (52), Marshall Faulk (49) and Saquon Barkley (49) this year. As researched by NESN’s Zack Cox, White is not only getting more involved, but at a record setting pace. Whites numbers are all that more impressive when factoring in the return of Julian Edelman and acquisition of Josh Gordon, neither of whom were on the field in September but active during his run. The timing of White’s receptions have also been pivotal and clutch. Take third down during Sunday’s game against the Bears for instance, White was a perfect four for four in receptions to go along with a touchdown. Speaking with WEEI’s Kirk and Callahan morning show Monday, Brady praised White’s contributions in the win over the Chicago Bears. With the Patriots running back depth chart down to two, White is ready for the added responsbility after the loss of Sony Michel for the next few weeks. 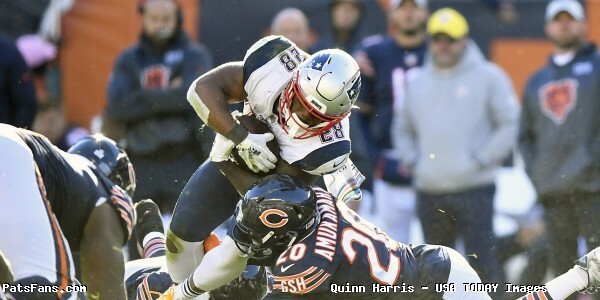 This entry was posted in 2018 Patriots Regular Season, Patriots Injuries, Patriots News, Uncategorized and tagged James White, Sony Michel, Tom Brady on October 24, 2018 by Robert Alvarez. Good morning, Here is your Sunday Patriots news 9-30, & AFC East Notes. Dont’a Hightower said this week, that the defense has spent extra time in the meeting rooms trying to improve communication and to be sure that t “all 11 guys can be on the same page” when they hit the field today against Miami. “We put it upon ourselves to kind of split up and spend more time on it — and it kind of went on a little longer than we wanted to — but it’s really just trying to get everything down pat. 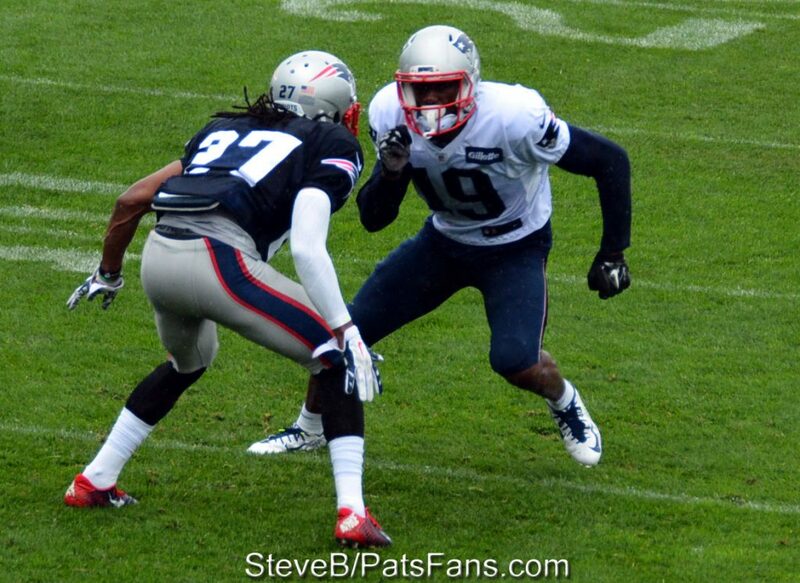 When everybody knows exactly what everybody else is doing, we’re able to play faster,” Hightower added. We’ll see today how effective that was. Shea McClellan has filed for injury protection with the NFL over his concussion issues which forced him out of the league. That move prompted the league to guarantee half of what McClellan salary would have been, which lowers the Pats salary cap down by over $1 million. That would leave the team with just $1.7 million dollars in salary cap space. For those clamoring for a LaVeon Bell trade? Not that the Steelers would trade him to New England anyway, but he isn’t signing for a million bucks. If Tom Brady was doing a demo for “Dancing With the Stars” on Friday, he may have some more work to do. Brady was imitating James White’s TD dance move and both he and White laughed about it and said he has a long way to go. Although we’ve seen the stats, we don’t really need to as the eye test will tell the same thing. The Patriots passing game has been terrible so far this season. The wide receivers have underperformed and struggled and it has put far too much pressure on Tom Brady and Rob Gronkowski to get things done. The hope is that the additions of Josh Gordon, possibly today and Julian Edelman on Thursday against the Colts will reinvigorate and energize the passing game, especially with the wide receivers. Edelman would give Brady that built-in safety valve, chains moving piece of the puzzle that can pick up those key first downs. 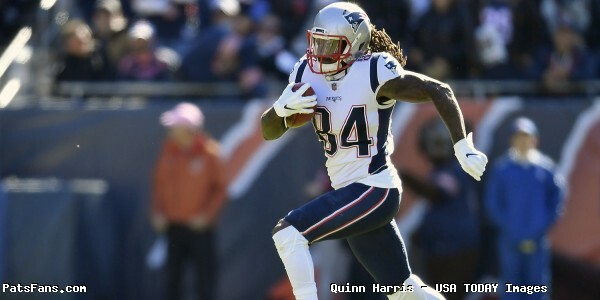 Gordon gives them, if healthy, the big-bodied WR that has game-breaking potential for big plays and can stretch the field, opening up some room underneath for Chris Hogan, Phillip Dorsett, and Cordarrelle Patterson. The latter three are the more complementary type of receivers and not the #1 go-to guys and would benefit greatly by the addition of both Edelman and Gordon. But today, whether Gordon makes his much-anticipated debut or not, the wide receivers need to step up and play a lot better period. Miami has very good corners and they’ll be playing a lot of press man coverage. They need to start winning the 1-on-1 matchups and getting open. 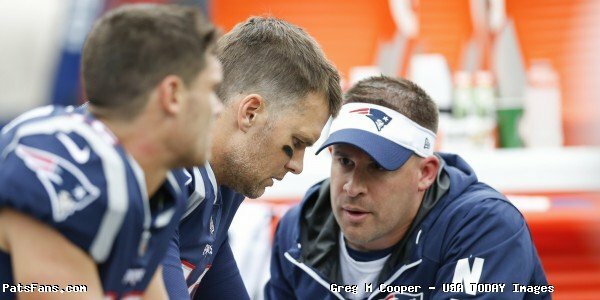 The coaches can help by ditching the conservative play calling and putting the ball back in Brady’s hands and allowing him to be more proactive in the offense rather than reactive and throwing in obvious situations. In the aftermath of the ugly loss in Detroit was the added bad news that both Rex Burkhead and rookie linebacker Ja’Whaun Bentley were being placed on IR. After just three weeks of the NFL season, the Patriots roster has already been decimated by injuries this summer. Of course, there are some revisionist history types that want to take Belichick to task for trading Brandin Cooks this spring. To a degree, there is some definite room for argument there that the Patriots should have kept Cooks given how thin the WR core is on the team right now. We won’t even mention the tin foil hat types who claim that Belichick is sabotaging Brady in the final years of his career to … make Brady (and himself?) look bad. But we digress. 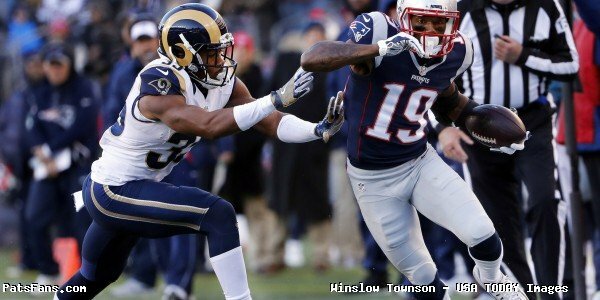 Cooks was gone after 2018 and the Patriots could have gotten a 3rd round compensatory pick for him. He was set to make $8 million which they could have afforded at the time. Or they make the deal then and get a first-round draft pick for him (#23) which they did, and which was higher than what they paid for him (#32). But the Patriots weren’t going to pay Cooks anything close to what the Rams did and he went there and promptly got paid. So, in retrospect, the Patriots surely could have kept Brandin Cooks this season and the passing numbers of the offense would have no doubt looked better than they are. And remember, they needed a Left Tackle because Nate Solder left to go to the Giants. But, let’s look at the Patriots offense this year when training camp started and who’s there now, starting with the wide receivers. How different would the offense have looked at those four players stayed healthy/clean? When added to Chris Hogan, Phillip Dorsett, and Cordarrelle Patterson, they wouldn’t have looked so thin right? But hindsight is 20/20. Honestly, I had no issue with the Cooks trade, it made sense then, considering the loss at left tackle. But I wish they’d spent the money on Danny Amendola that they are paying a certain blocking tight end who is invisible in the passing game and who isn’t blocking anyone exceptionally well right now. Round 1 – RB Sony Michel – Injury, missed a month and is just rounding into shape. Compound this with losing to two of the running backs to injury and IR that they were really counting on in Jeremy Hill and Rex Burkhead, and the time missed by TE Jacob Hollister who is supposed to take some heat off of Rob Gronkowski. Yes, the offense and the team as a whole has been snakebit. We were actually pretty confident with those players, and adding in Michel, Burkhead, White, and Hill from the backfield that the offense was going to be fine. But injuries ravaged the offense this summer and to quote Belichick, it is what it is. Of course, it is easy to be critical of Belichick after the fact. But a show of hands, who saw all of these players would have their injuries, thus far? Anyone? The Buffalo Bills shocked the Minnesota Vikings last week and cruised to an easy 27-6 win. No one gave them a chance to win and they totally out-physically dominated a Vikings team that prides itself on that. Things don’t get much easier this week, The Bills move on to Lambeau Field and play the Green Bay Packers and again, most of the national pundits are picking Green Bay who has scuffled along at 1-1-1. Good news for Buffalo is that Aaron Rodgers continues to be limited in his mobility from his knee injury and that will put a lid on how much he can scramble on the busted, sandlot plays that the Pack typically feast on. Jerry Hughes who had a pair of sacks, two QB hits, and a forced fumble last week will be looked to for another big game. Josh Allen will need a big game this week, although Green Bay’s defense is far from a shutdown unit, they are opportunistic and Rodgers is usually top notch at home. Green Bay is favored by 12.5 today. The Miami Dolphins signed WR Danny Amendola this offseason for his toughness, clutch ability, and his veteran leadership. And so far this season, they’re getting all three. Amendola has the most receptions for Miami with 11 and it has been much like New England, with the bulk of his catches coming in the dangerous places over the middle where the chains continue to move and keep the offense on the field. Amendola has plenty of close friends in the opposing locker room at Foxboro today. He was not only one of Brady’s closest friends on the team, but a very valuable trusted presence by his teammates as well. Amendola has hardly ever been a quote machine, he totally bought into the Belichickian way of speaking and saying very little, preferring to letting his play do his talking for him. And despite what Jalen Ramsey thinks, Amendola has continued to produce without Tom Brady and will be looked to this afternoon to give Miami a big spark. No one on the Miami sideline knows the Patriots defense as well as he does. He practiced against them for years. Don’t be surprised if Ryan Tannehill tries to get Amendola going early and often in the matchup this afternoon. And while Amendola will never say it, either before or after the game, he, I’m sure would love to have a big, big game against his former teammates. But more than anything, he wants to come away with a win. That is the kind of thing he learned here that is most important. The New York Jets Sam Darnold burst onto the scene in Week 1 in the Jets thrashing of the Lions on national television. Since then, however, Darnold has for much of the time resembled the rookie that he is. Saddled with a leaky offensive line, which we pointed out here quite a few times, and very conservative play-calling, it is no wonder his learning curve has flattened out a bit. This is normal for many young QBs and the Jets Offensive Coordinator Jeremy Bates is trying to simplify things for Darnold which will make it easier to for him to call the plays and play within himself as he learns the pro game. This is the risk with playing a QB so young (Darnold is just 21) right out of the chute in the NFL. His confidence can be shaken especially with a seasoned and solid veteran in Josh McCown on the roster. Today, Darnold will be facing the Jaguars defense and he’ll have his work cut out for him. And Bates should be worried more about Jacksonville than New England but he pointed out that failed headsets in every game this season has hurt the offense. And despite the league being in charge of the headsets, Bates had to take a dig at New England. “I’m not throwing anyone under the bus, but the button stopped working,” Bates said. “We’ve tried to correct it, and understand that that can happen at any time, especially in New England.” Oh yes, he did…he went there. 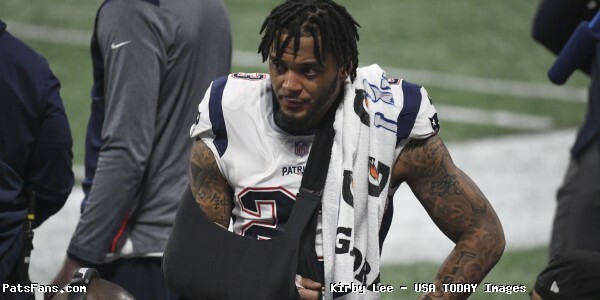 This entry was posted in 2018 Patriots Regular Season, NFL Commentary, NFL News, Patriots Commentary, Patriots Injuries, Patriots News and tagged 2018 NFL Season, 2018 Patriots season, Bill Belichick, Buffalo Bills, Chris Hogan, Danny Amendola, Dont'a Hightower, James White, Julian Edelman, Miami Dolphins, New England Patriots, New York Jets, NFL, Patriots, Patriots edge rushers, Rob Gronkowski, Tom Brady, Trey Flowers on September 30, 2018 by Steve Balestrieri.